A Whole New World …..
My Birthday! And YES, I surely did walk around ProWein with a badge that said ‘IT’S MY BIRTHDAY!’ It was probably one of the best decisions I have ever made =P I was walking around ProWein and every 10 seconds someone was telling me “Happy Birthday!” I can’t tell you how many wine reps were offering me a glass of their bubbly to help me celebrate. I lost count of how many I had, somewhere around 10:30am. Okay, here we are … last day of ProWein! I decided to make it the day to check out the New World section. For those of you who may be confused or need a little brushing up on what ‘New & Old World’ means, vinously speaking, (or you’re a wine geek and you already know, but you’re geeky enough to watch them anyways) here are a couple videos to help get the point across! Ok, so now that you are a connoisseur of Old vs. New World wine lingo, let’s continue on my New World day at ProWein! And I HAD to take a photo from the South African section! There was ZEBRA everywhere!!! In case you don’t know or haven’t read the ‘About Me‘ page on my blog, I AM OBSESSED with Zebra print/Zebra’s. I am pretty sure I have the world’s largest collection of zebra print. Any challengers? I was SO close to asking this lady who was displaying some African-inspired decor if she wanted to donate the zebra stuff to the “Ceci Sipper Needs More Zebra Stuff Foundation”. Moving on….you should have seen the crowd gathering around the California section. Cali was not messing around! They had a stand with chefs that were doing live-cooking, then passing around free food samples to the crowd along with the wine that was meant to be paired with it! It was phenomenal. No other section in ProWein stood a chance against this West Coast PARTY! It ain’t Cali without some Coppola wine action! One MUST-VISIT for me was Ridge Vineyards…..OMG! This is just heaven in a bottle for me. I am in love with this wine! Mmmmmmm! My mouth is watering as I type. Drool. The wine rep for this booth was a bit on the cold side….so that was a ‘boooo’. Ridge, you gotta talk to your rep and tell him to lighten up! It was heaven in bottle, but with Mr. Grinch serving your wine, it kinda distracted the ‘angel-choir-singing’ moment I was trying to bask in while sampling the wines. Here he is, my wine hero, Paul Draper, speaking about winemaking at Ridge Vineyards. Wine Society Article. Is my love for Ridge wines and my adoration of Paul Draper noticeable? In the New World hall, they had a section called the ‘Tasting Zone’. The ‘Tasting Zone’ is a section where the visitors can taste wines at their own leisure based on the category groupings of the wines. Each year the zone has a different theme and this year’s theme was ‘wine in business’, presenting wines according to their respective sales and distribution channels. This allowed trade visitors to have an overview of the wines which are geared exactly towards their specific needs (i.e. food retail needs different wines for its consumers than a wine dealer or the sommelier of a multi-star restaurant). There were several booths that would conduct special talks/tastings throughout ProWein. This is a photo from the Napa Valley Rocks presentation that was held at the booth that was shared by Napa Valley Vintners, Sonoma County Vintners and ZAP: Zinfandel Advocates & Producers. It is very unusual for these three organizations to collaborate like this, but it wasn’t just California doing this. The spirit of cooperation was the theme this year in the New World hall. For the first time ever, 5 of the major New World players decided to join heads this year at ProWein to put on a series of seminars, tastings and workshops titled: Down2Earth – California, Argentina, Chile, South Africa and New Zealand. Once section I had to visit in the New World section, was Chile. This is my #1 favorite wine producing country! Many other countries are not far behind, but for me, Chile takes home the gold! 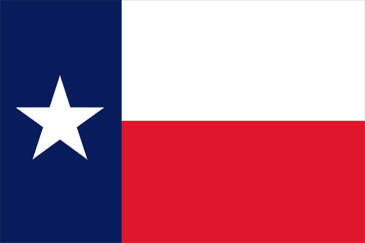 Not to mention, you have to know a country ROCKS when their flag closely resembles the Texas flag. FYI, I am a PROUD Texan, born and raised!! YEEHAW!! Do you dig the ‘Wines of Chile’ logo? I think it’s pretty cool. One of the stops I made was at William Cole Vineyards from the Casablanca Valley in Chile. Their wines were YUMM! If you can get your hands on some, do it! This one was my favorite! In case you don’t know, Carmenere is to Chile, what Malbec is to Argentina. I met Patrick via Twitter/Facebook before ProWein then we met face to face at the Wine Bloggers Meetup there! (I LOVE Social Media!) He really had to twist my arm, but I accepted his invitation to go taste their wines! They grow wine in Germany, and recently they bought some vineyards in New Zealand and are now producing wine there! Patrick is a total sweetheart and his dad Karl is a comedian! They were such fun! I brought along 3 gals from my wine business program, and the 6 of us just laughed away the final hour of ProWein! I am so glad I was able to taste their wines and spend some quality time with the Johner’s! The wines were simply marvelous. I linked up their estate, as well as the facebook of Patrick, at the top of this paragraph. DO yourself a favor and get your hands on some of their wines, you WILL thank me. And they even gave me a bottle of their New Zealand Gladstone Pinot Noir as a birthday gift!! So sweet! I can’t wait to see them again at London Wine Fair! And there you have it ladies and gents!! ProWein 2010! Naturally, as it was my birthday, ProWein was the end of the wine conference but not the wine drinking. I may or may not have tricked my Masters in Wine Business program mates into pre-partying in my hotel room, then going out to celebrate my birthday at an Italian restaurant across from our hotel where we may or may not have consumed TWO Double Magnums of wine for 9 people! My glass was never more than 3/4 empty (thanks to Leah ;P) and I may or may not have remembered drunk skyping Frenchie le Boyfriend afterward, having an after party in our hotel room til 3am, waking up for the 7am check-out still inebriated…..but hey, you only turn 26 once!! So I had to live it up! This calls for a wine song! Hope you enjoy! Spend a beautiful moment on this rainy SouthofFrance morning reading through your Prowein-birthday post – so very belated best wishes – but first of all: all the luck for your wine-tests next week – I keep my fingers crossed and will be delighted, to find the ceci sipper back afterwards:-)!